For most budding filmmakers, the Israeli-Palestinian conflict is an untouchable subject. One of the most polarising and contentious border wars of modern history, it’s often painted by the media in crisp black and white; with the majority of speculators falling firmly on one side or the other. I caught up with Jen to find out more about the project, its challenges, and why she believes that women should rule the world. What first took you to Israel? And how did you meet Lina (the Palestinian)? Jen Heck: I had friends in Israel, and the first time I went was with a very old friend who was born there, and was eager to show me around. He knew that I had been working with the Palestinian mountain climber Mostafa Salameh on an Everest project that involved Palestinians, and he wanted to show me the other side. As my work for the Everest project intensified, I met Lina in the West Bank and we became immediate friends. She’s a special person, a glowing person, and my first instinct was to connect her to my friends in Israel, some whom I’d become very close with. From there, a movie was born. And a band, of course. You state in the trailer that the group has barely any musical aptitude. Why did starting a band seem like a good idea? Jen Heck: The band was a pragmatic (and fun) response to an unpredictable quagmire. While the legal restrictions on border crossings were a major impediment to our goal of getting together, perhaps the even more dangerous issue was the social side of what we were doing. When people saw us getting in and out of cars as outsiders, maybe with camera equipment, it made them suspicious. It put a lot of social pressure on Lina to explain who these strangers were going in and out of her house. We didn’t want that negativity to fall onto her. Everyone wanted to continue what we were doing, but we needed some kind of a cover story – even a superficial one. When we added the props of the band, it was clear to anyone who was watching what we were doing. They definitely thought we were weird, which still creates social pressure, but there was less uneasiness that we were spies. Do you think this paranoia was justified? I imagine this was really challenging to film. What were some of the biggest difficulties you ran into? Jen Heck: This film was extremely challenging. Knowing what I know now, I would not have the guts or fortitude to do it again. That’s one of the reasons why it’s so meaningful to me: it’s bizarre, unlikely, disarming, and unique in a way that reveals a side of this conflict that’s never been seen publicly before. The obvious difficulties were the borders themselves. The social shaming and suspicion was also extremely challenging, and I expect that will only intensify as the film begins to emerge publicly. But I’m also hoping that the overwhelmingly positive and hopeful message in the film will win people over, and create a safety net for the extremely brave women who put themselves out there in the film. The public pressure to be positive, I’m hoping, will win out. Do you have worries about how the film, and the women in it, will be received once it’s released? 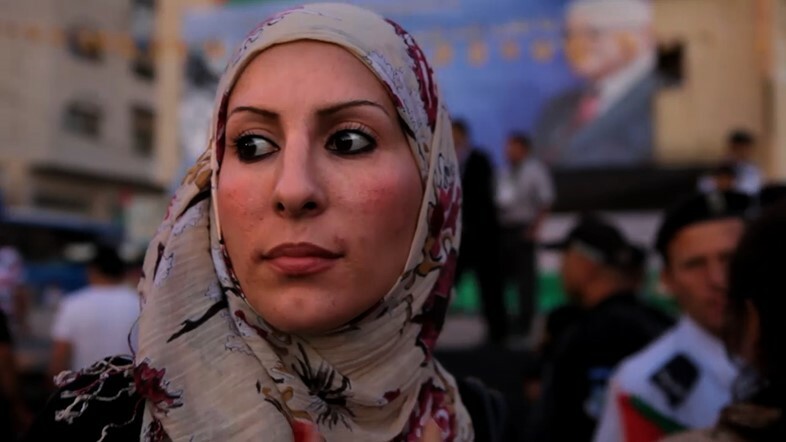 Jen Heck: The major concern is the emergence of a new voice of Arab feminism. The concept of Arab feminism is so foreign that it feels weird to read in a sentence. There are so many strong, amazing women out there, but their voices are generally repressed, particularly in the media – even in the US media. The strength of the Palestinian women in this film may make them targets for a certain subset of the population. All that said, things are changing, and in some cases changing fast. I don’t know where that part of the conversation will lead, but we’re both nervous and excited to jump into it at full speed. I consider this a love story, and as I said before, I’m hoping that the intense positive energy that comes from watching these relationships grow will overpower any of the more conventional, played out auto-responses we’re all preparing ourselves to endure. As the film begins to develop a public life, the next phase of danger and uncertainty will begin. No one of us knows what to expect. The women in the film are all vulnerable in different ways. And what’s surprising is that as controversial as the Conflict itself is, the feminism in the film will be more controversial. On the one hand, there’s the broad message that perhaps women do things differently. “If women ruled the world, we’d only have jealous countries. I can handle jealousy, but I can’t handle war,” Lina says in the film. The message behind this film feels very strong. Was this a conscious decision? Jen Heck: The feminist message is conscious, and I hope it comes across loud and clear. We all think we know and understand the Conflict, but there has been very little attention paid to the female perspective. I think it’s a major coup to take an overpowering subject like the Israeli-Palestinian conflict and make it about women. I’m biased, but so far, audiences agree. That really, really excites me. I’m not gonna lie, I would appreciate the chance for women to rule the world for a while. Could the film have worked with men? Jen Heck: The film couldn’t have worked with men. 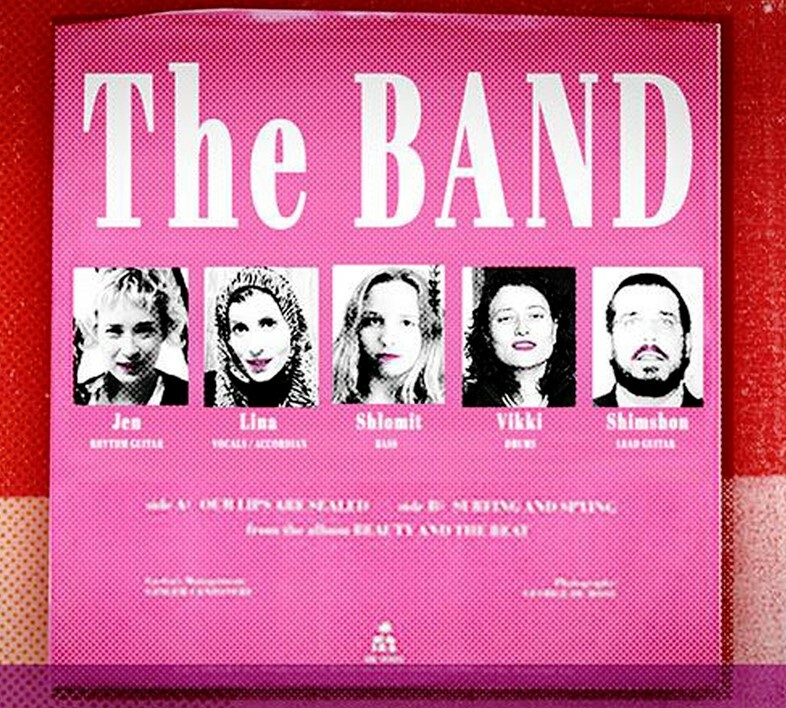 I see the band as metaphor for the Conflict, and the band members as representatives of different aspects of the society. To that end, the band fails at music for some of the same reasons the society fails at peace, and both men and far right religion are central to that. Don't misinterpret that as a statement against men or religion; they’re both essential to an enlightened, civilised society. But when the balance of things is thrown out of whack, harmony, by definition, becomes impossible. And I think that’s an important statement to make. There’s a reason why planets are always round and horizons are always flat – life demands equilibrium. Finally, why do you think music is such a powerful tool?